Members of the Lady Buckjumpers during the club’s 2006 parade. Photo © Matt Sakakeeny. The Lady Buckjumpers Social Aid & Pleasure Club parade every November in the Uptown district of New Orleans. Formed in 1984, the Lady Buckjumpers are one of the many all-female Social Clubs, and they famously outshine the men’s division (The Men Buckjumpers) each year. The club’s president is Linda Porter Tapp, mother of rapper Soulja Slim (James Tapp, Jr.) and longtime girlfriend to Philip Frazier of the Rebirth Brass Band. Rebirth played the jazz funeral for Soulja Slim in 2003, and they typically play the Buckjumpers’ annual parade, which stops at the former site of the Magnolia housing projects where Linda Porter Tapp raised her son. Watch the Lady Buckjumpers dancing on the steps of the Magnolia Housing Projects apartment where founder Linda Porter Tapp raised her son, the rapper Soulja Slim, on the anniversary of his death, November 26, 2006. 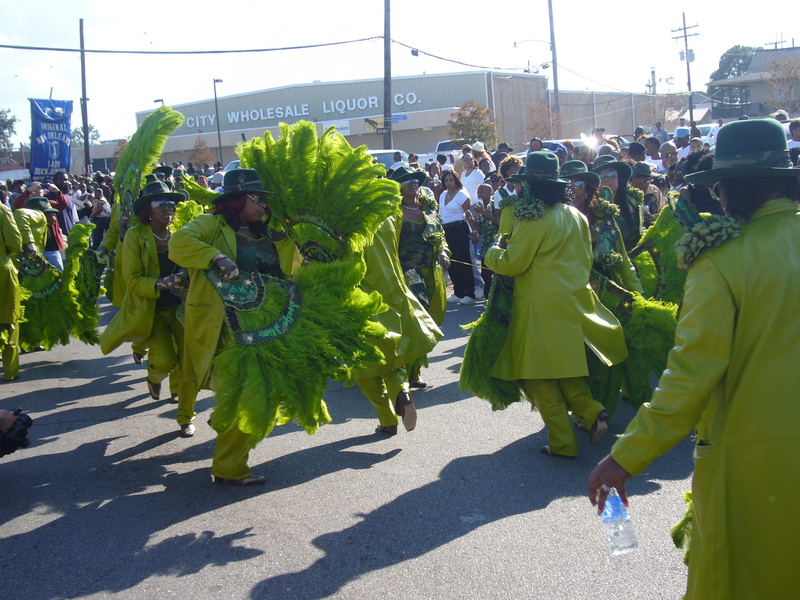 The Lady Buckjumpers are named for a dance typically seen during neighborhood second line parades.